...the musicians feel more than ever that their ideas are more than welcome and that they are part of the music. It is a work process that is very similar to the one we had in Irakere. 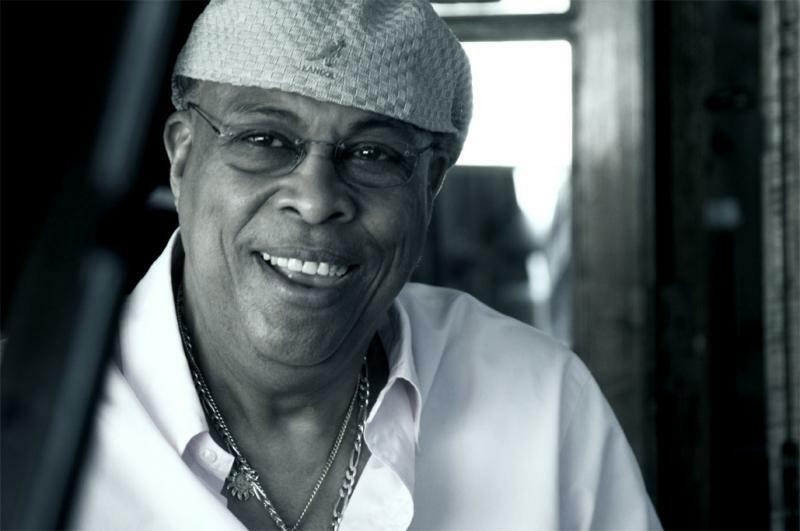 Chucho Valdés arrived at his All About Jazz interview confident: of his music and of Spain's victory in the South African FIFA World Cup. It was July 11th 2010, and for the first time in its history, Spain's national team had reached a World Cup final, in South Africa. A Cuban interested in football? "A lot of people watch football in Cuba now, especially the Spanish league. I began to get excited about football in the last three years, in Argentina, and I like the way the Spanish team is playing in this tournament, like a team rather than a bunch of individuals. They deserve to win." Could Spain's team play be compared to a music group? "Yes, it could. If each member of the band were to play for himself and to shine individually, it might work for a day or two, but at the end of the day it doesn't work, however good the musicians. When work is shared, each member works for the team. 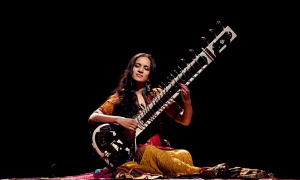 And with music, as with football, the individuals are less important than the group." Valdés was in Spain, almost at the beginning of a tour that took him literally all over the world in the ensuing two months, without skipping a single continent, from Angola to Taipei and Australia, going by Colombia and Europe. He was presenting Chucho's Steps (World Village, 2010): "I think it is a little different and I even have some newer and more daring things than this. I felt very inspired with the new horn section. I have come up with many ideas." 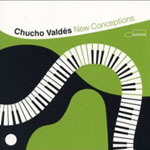 Indeed, Valdés has enlarged his usual quartet (Lázaro Rivero Alarcón, el Fino, bass; Yaroldi Abreu, percussion, and Juan Carlos Rojas, el Peje, drums) to a septet, with the inclusion of Reinaldo Melián, Molote (trumpet), Carlos Manuel Miyares (tenor sax) and Dreiser Durruthy (percussion, vocals and dance). 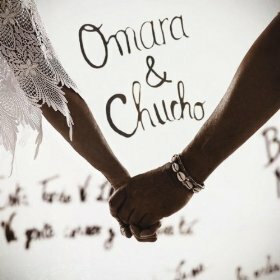 Mayra Caridad Valdés, Valdés' sister and Bebo Valdes' daughter (Bebo's ballad, "A Mayra," is the love theme for Fernando Trueba and Javier Mariscal's upcoming film, Chico and Rita) will be joining the group live. What does Bebo think when he listens to the record? "We'll see. Some of the rhythm combinations are strange for him, because nobody is doing this sort of thing, a group that sounds like this." "But I hope he likes it," Chuco Valdés says, the man who his father has labeled "the best pianist in the world." 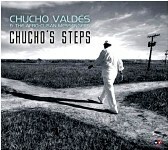 "Chucho's Steps is my band's first album in seven years," Valdes explains, centered around the quartet: "We've been together for 10 years and over time we have developed a communication system that allows us to know what we want in any situation." "It's not only a matter of talent," stresses Valdés. "We practice every day, sometimes doing research practice. When we finally decide that a specific structure is the right one, we have gone through millions of changes, and sometimes what I wrote originally has nothing to do with the final version." 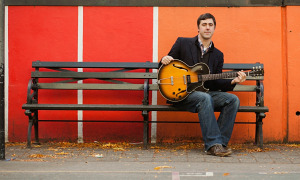 For this, Valdés also gets input from his musicians who are devoted to their work. "Of course, they can change one of my ideas and show me that it is better than mine, it has happened more than once and I hope it will continue to happen." 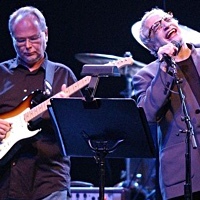 A great recipe for the unity of the group: "In these cases, the musicians feel, more than ever, that their ideas are more than welcome and that they are part of the music. It is a work process that is very similar to the one we had in Irakere." With Spain now the World Champion, let's step into the music. Press the play button as we begin our tour of Chucho's Steps, guided by its creator. "We started the album with this piece, following the advice of our record label in Europe (Harmonia Mundi), because I had first thought to open with 'Zawinul's Mambo' [the album's third track]. The cut begins as a funk-jazz, rock-jazz number, and halfway through it turns into the most modern Latin jazz style. The trumpet solos are funk-jazz style and the transition is seamless from one side to the other, hence the title. 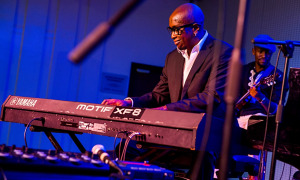 When it goes into the Latin part, it is based on a complicated closing and then comes the piano solo, a mixture of jazz and Afro-Cuban sounds." According to Valdés, "the idea of the trumpet and the sax has a lot to do with the Messengers." He acknowledges "for a long time I was greatly influenced by the Jazz Messengers; Art Blakey often used trumpet and sax, or trombone and sax, or all three brass instruments together, but generally in the fifties it was Hank Mobley and Donald Byrd. I limited the volume to get closer to the Messengers." 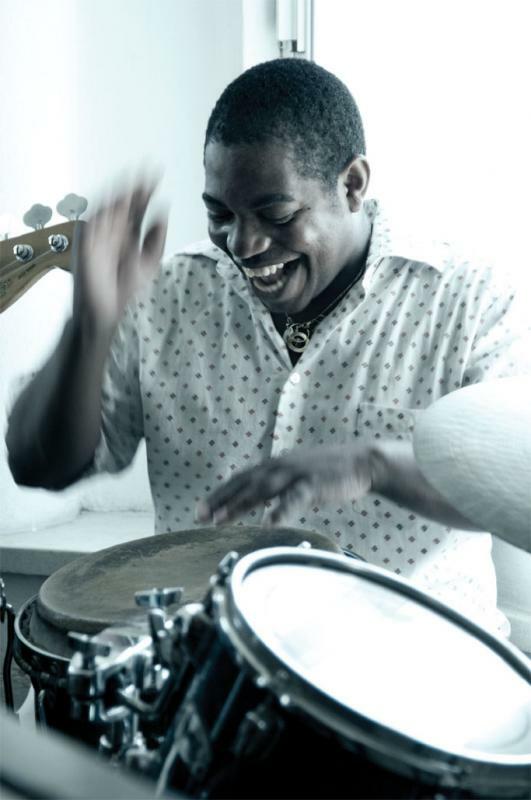 Then Dreiser Durruthy's percussions come in: "His input is what makes the style of the band real, the Afro-Cuban sound, a powerful combination of congas, bata and drums. 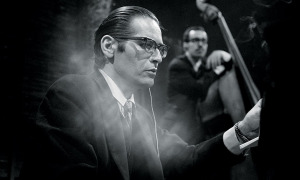 It is not easy to put the bata in a serious jazz discourse." "We played it with Irakere, with Carlos Averhoff on the soprano saxophone, but it was never recorded," says Valdés. 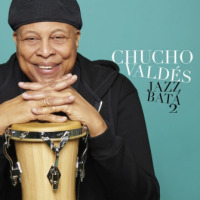 "Later, Paquito D'Rivera recorded it, and Germán Velazco also played it with Irakere, but I was convinced it would sound better on the tenor sax," but Valdés had changed his mind. "It's true," he says, smiling, "In 1975, Averhoff himself suggested playing it on the tenor sax, and I was not convinced. Well, he was right." "Danzón" allows Carlos Manuel Miyares to shine playing a memorable solo: "It is a solo with many jazz roots. There are three or even four generations of musicians there. His sound is beautiful and he has fantastic ideas. He is a passionate and inspired musician. It's amazing how he got into the music." In a 2010 interview on the France Inter radio station, Valdés listened to a fragment of an interview with the late Joe Zawinul, from the summer of 2007. "During the conversation, they made him [Zawinul] listen to 'Zawinul's Mambo,' that they had recorded at the Marciac Jazz Festival, and Joe said he felt very honored and happy that I had dedicated the music to him." Until that day, Valdés believed his friend had died without having heard the piece he dedicated to him. "I was delighted to know that he had heard it. They gave me the tape of the interview and now I treasure it." Zawinul was always a reference for Valdés. 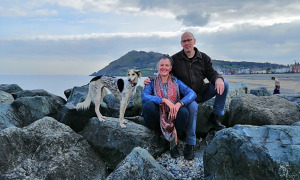 They met for the last time that summer in 2007, in July, two months before the Austrian pianist died, when they were both at a jazz festival in the Canary Islands. "I was touring with Bebo, Mayra and my quartet, and we spoke for a while. 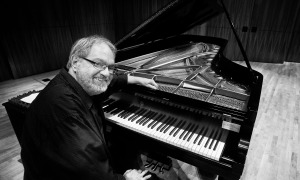 He said he was very happy that I had dedicated this piece to him and liked what I was doing at the time: playing the piano." In fact, Valdés gives all the credit to Zawinul on the creation of his quartet: "Every time we met he told me I had to play more piano and concentrate on a small group. Finally in 1997, in Martinique, I was with Irakere and with Crisol, Roy Hargrove's group, and I met Joe in the lobby of the hotel; he asked me what I was doing. I told him I was with Irakere and Hargrove, and he answered: 'Great, but a long time ago I told you that you had to set up a trio or a quartet and play more piano. When are you finally going to do it?' Three months later I was working on it." "Zawinul's Mambo" is a real rhythmic tour de force, with Juan Carlos Rojas, el Peje, and Yaroldi Abreu at the helm in the middle of a polyrhythmic apotheosis. During that tour in 2007, in which Bebo joined his son's group halfway through the show, the patriarch never missed this number, sitting on one side of the stage. "It is complex, yes; we worked on it for almost a year-and-a-half. There is a reference to 'Birdland,' I added a mambo and a rhythmic combination to improvise, and there we added the key and the tumbao, but the time signature is always very complicated." "Zawinul's Mambo" is also a remarkable example of creative collaboration between Valdés and his musicians: "That's true. First, the mambo was farther away from the beginning, but El Fino suggested putting the mambo at the beginning of the piece, we tried it out and in the end it is actually better where it is now, thanks to his suggestion." 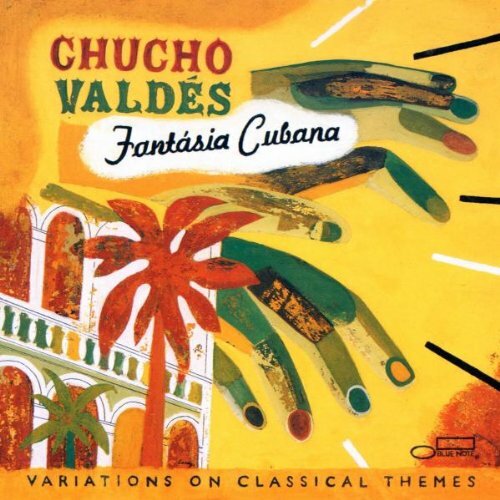 Of course, Chucho Valdés knows that Bebo Valdés was thrilled to bits whenever he heard this piece live, despite the different style between his and his son's poetry. "My style is different from Bebo's," muses Valdés. "I don't know if it is a consequence or perhaps a sequel, because thanks to Bebo, I am where I am. Maybe there's more of Bebo in 'Danzón,' because there is an incredible depth to his tunes, but perhaps that's why he loves this number so much, it's quite different from what he did."